With it being 100 years since the beginning of World War I, I’m reminded of the story my Dad told me about how Grandpa Roberts was saved at the last minute from having to go to Europe. 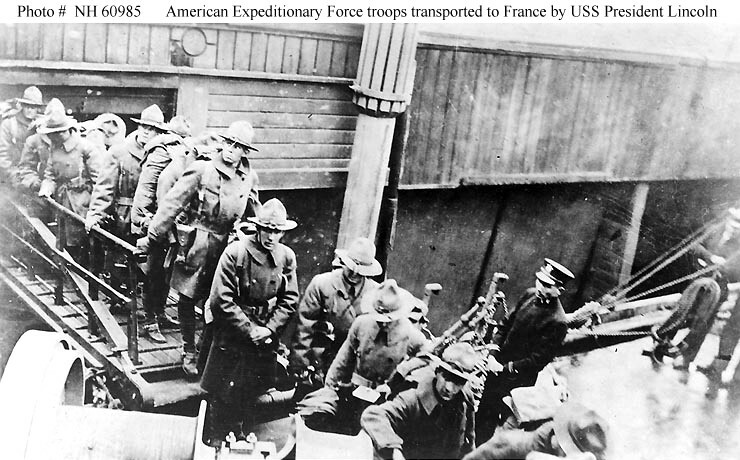 The United States declared war on Germany on April 6, 1917. It enacted the Selective Service Act on May 18, 1917. This required all men ages 21 to 30 to register for military service. It also allowed the US to draft 2.8 million men for the war. My grandfather was one of those men. Below is his registration card. Grandpa was drafted and sent to Fort Meade, Maryland for basic training. While there, Grandma Roberts had a dream that if he went to Europe, he would not return. Grandpa also wrote home that he believed that if he went overseas, he would die there. Grandma went to Great Grandpa Wallen and begged him to do something. They went to their congressman and asked if he could do something. This was humbling for them since they were staunch republicans and the congressman was a democrat. For some reason, Grandpa Roberts replied “No” on his registration card when asked if there was anyone dependent on him for their livelihood. Since this was untrue, the congressman was able to get Grandpa exempted on a hardship basis. He was pulled out of line while waiting to board the ship that would have taken him to Europe and likely his death. If that had happened, my Father would have never been born.